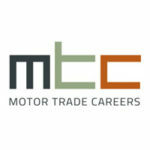 Motor Trade Careers require a Business Manager/Controller of the highest calibre to head up our client’s busy volume dealership in Liverpool, selling arguably one of the best range of cars on the market. This is a superb opportunity for the right person who is able to demonstrate a successful and stable track record within the automotive industry. Be focussed on delivering the highest standards of customer service and have a real enthusiasm for the technologies and product range. Ideally hold a minimum of 12 months, successful track record in a similar motor trade sales environment. Be exceptionally organised and process driven, with the ability to manage a wide range of administrative tasks. The successful applicant will be highly motivated, efficient and organised. You must be used to working in a competitive and process driven environment and possess excellent communication, administration and customer handling skills. This position will be provided with a competitive remuneration package, with an OTE £45k opportunity ( which is uncapped ), company vehicle as well as an extensive employee package. Are you frustrated at being unable to realise your full potential in your current role? If you feel up to the challenge and have the relevant experience and ability we are looking for APPLY TODAY! Only those with the relevant motor trade skills, experience and stability can be considered for this role – serial job-hoppers need not apply !